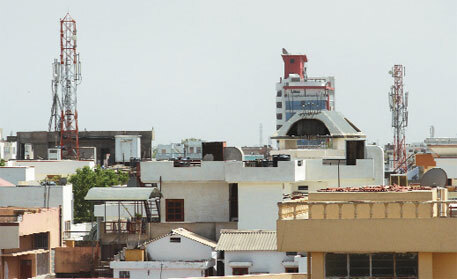 SUDHIR KASLIWAL has been living in a Jaipur colony with his family since the 1970s. A jeweller by profession, his life was going smooth until last year when one of his two brothers was diagnosed with brain tumour. He was rushed to Mumbai for treatment. Then his other brother was also detected with brain tumour. “His doctor enquired about our surroundings. When we told him there are three cell phone towers within 20 metres of our house, he cautioned us,” says Kasliwal. Around the same time, his dog fell victim to cancer. In another colony of Jaipur was Hameeda Patel who succumbed to cervical cancer last month. The 53-year-old used to live with her family in a one-room flat on the first floor. The room is 50 metres away from a building that has a cell phone tower and four antennas. “She was the first cancer patient in our family,” says her son. Since 2010, five persons have died of cancer and five are battling the disease in Patel’s colony that has about 15 cell phone towers. These are some instances of the health scare that has engulfed Rajasthan’s capital. Although there is no conclusive evidence to prove that electromagnetic radiations (EMR) emitted by antennas on cell phone towers are causing cancer, there could be a link. All the cancer patients in the areas Down To Earth visited were the first in their generation to suffer from the disease and were diagnosed after towers were erected in their vicinity. The increasing number of cancer cases has people worried. On February 24, two people filed a petition in the Rajasthan High Court. They urged the court to take action against cell phone service providers and the regulatory authorities. On May 31, the court formed a committee to monitor EMR in the city for a month and submit report with suggestions (for more, see "Mobile tower risks: Rajasthan High Court issues notice to telecom operators"). To further address public concerns, the state government organised a workshop on June 2, which was attended by technical and medical experts. “The cancer cases are a mere coincidence. There are multiple causes of cancer like pollution and lifestyle changes,” says Rajesh Pasricha, senior consultant, department of radiotherapy, Bhagwan Mahaveer Cancer Hospital and Research Centre, Jaipur. There is no conclusive evidence to show that EMR is responsible for cancer, he adds. Officials from the Department of Telecommunications (DoT) say the radiation levels in Jaipur are below the permissible limit. Mahidhar Pant, deputy director general, Telecom Enforcement Resource and Monitoring (TERM) cell, Jaipur, says, “We are required to randomly monitor EMR of 10 per cent of the 5,678 towers in the city annually. We have never found EMR beyond the permissible limit.” But there is no independent verification of the TERM readings, points out Prakash Munshi, an anti-radiation activist in Mumbai. Even at permissible level, EMR could hurt people. After doctor’s caution, Kasliwal had his house tested for EMR. “The levels were high in the rooms occupied by his brothers, but were within permissible limits,” says Girish Kumar, professor in the electrical engineering department at IIT-Bombay, who measured the radiation. How can radiation level within the permissible limit be harmful? India follows the norms of International Commission on Non Ionizing Radiation Protection (ICNIRP), Kumar says. It is an independent scientific body that provides guidance on the health hazards of non-ionising radiation exposure. V K Vijay, director of the Centre for Development of Physics and Education in the University of Rajasthan, sheds more light. “EMR are non-ionising radiations. They have electrical and magnetic field, but no charge. On contact, the field affects the normal dynamics of the human body. But the exact effect is not known,” he says. According to ICNIRP, the permissible limit for exposure is 4.5 Watt per m2. The reading in Kasliwal’s house was about 0.005 Watt per m2. “Consistent exposure of even 0.001 Watt per m2 is harmful,” says Kumar. Besides cancer, such exposure can damage DNA. “People complain of problems like sleep disorders and hypertension,” he adds. He cites a study conducted in Germany from 1994 to 2004 which found a threefold increase in cancer risk after five years’ exposure to radiations from a cell phone tower at a distance of 400 metres. “At this range, the radiation would be 0.00008 Watt per m2,” says Kumar. In countries which follow ICNIRP like Russia, Italy and Poland, the permissible limits are 0.1, 1 and 0.1 Watt per m2, respectively (see ‘Precautions taken’). Kumar says the ICNIRP guidelines are intended to protect people from the short-term heating effects and not from biological effects of long-term low-level exposure from towers. An expert group commissioned by the Union Ministry of Environment and Forests last year to study the countrywide impact of EMR on birds found the exposure was reducing the number of birds and hurting bees’ egg production. “If birds are getting affected by the radiations, then humans can also be at risk,” says Kumar. Many international studies also show harmful effects of EMR on health. For example, a study conducted between 1996 and 2006 in a Brazil municipality showed that mortality rate due to neoplasia (abnormal cell growth) was higher for people within an area of 500-metre from cell phone base stations. However WHO, which reviewed 1,000 studies on the health effects of EMR, says there is no convincing scientific evidence to confirm that low radiation from cell phone towers affects health. The International Agency for Research on Cancer classifies EMR as a possible carcinogen because of limited proof. No convincing evidence does not mean no evidence, says Kumar. “We agree that it is a matter of research. But till then should we keep getting ourselves exposed to harmful EMR?” asks Kasliwal. Last year, an inter-ministerial committee formed by DoT on EMR had recommended reducing the permissible limit by one tenth (0.45 Watt per m2). It is supposed to be implemented by September. But Cellular Operators Association of India says the recommendation has no scientific basis. An official of the state Urban Development and Housing (UDH) department says initially there was no restriction on the number of cell phone towers to ensure best connectivity to people. As a result, discoms set up towers indiscriminately. “Even we do not know of their possible harmful effects,” he says. 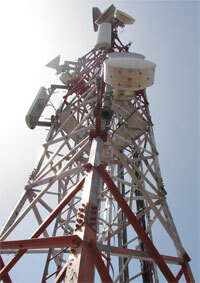 But for the sake of regulation, the government made model cell phone tower bylaws in 2010. These bylaws with a few modifications were made mandatory in September last year. HERE ARE A FEW QUESTIONS TO START A DEBATE. WHY IS THE GOI DELAYING IMPLEMENTATION OF REVISED EMFR STANDARD TO 450 MILLIWATTS / SQUARE METER WHEN HIGHEST READING MEASURED BY TERM IS 100 MILLIWATTS / SQUARE METER? IF IN OTHER COUNTRIES LIKE NEW SOUTH WALES , AUSTRALIA , VODAFONE CAN MEET MUCH LOWER STANDARDS OF EMFR WHY NOT IN INDIA? WHAT IS THE POWER TRANSMISSION FROM MOBILE TOWERS / ANTENNAE IN OTHER DEVELOPED COUNTRIES? WHY CAN COAI NOT REPLY TO SPECIFIC COUNTRY WIDE QUESTIONS?